At theology pub Friday, we all sat around and conversed on the issues of worship. I put forward the typology of “lecture hall” worship versus “rock concert pep-rally” worship as the primary modes of worship for evangelicals and suggested that both were inadequate for forming truthful minds and faith experience in Christians. This typology is found in chapter four in my the Great Giveaway. The people at our pub ranged in age from 16 to early 50’s. Most seemed to agree that a worship service geared entirely towards a 55 minute sermon which seeks to dispense information information to Cartesian minds, is inadequate for formative worship. What was less obvious and hotly debated, was the legitimacy of rock concert style worship to form us into Christ. I continue to assert that a sufficient theology of worship must come to grips with the epistemological shifts of the last century whereby we can no longer be naive that “religious experience” is an apriori given that affords immediate access to God. Rather experience is produced through interpretive frameworks, particularly linguistic. Experience is something learned and trained into. As Lindbeck would say, “there is no uninterpreted experience.” After Wittgenstein, Lindbeck, Hauerwas and others therefore, we cannot avoid paying attention to liturgy, including language, symbol and sacrament all governed within the church’s Scriptures given to us in Christ. This is one of the reasons why the evangelical church must move beyond the “lecture hall” and the “rock concert pep rally” if we wish to recover a worship that shapes truthful minds and faithful experience. In light of this I hope to say some words in posts to come about Carl Raschke’s The Next Reformation: Why Evangelicals Must Embrace PostModernity. Here Raschke argues that charistmatic worship and church experience is the way forward for evangelicals in postmodernity. I am all for a charismatic experience, a worship of God that includes emotions and the gifts and miracles, as long as it is formed out of faithful linguistic structures, as a response to God and ordered to God. I there hope to publish a few posts in the days ahead suggesting some qualifiers to Raschke if we evangelicals, and especially the emergent church are to take his book seriously for the way forward in these postmodern times. Also forthcoming, some notes on Kevin Van Hoozer’s Book The Drama of Doctrine. 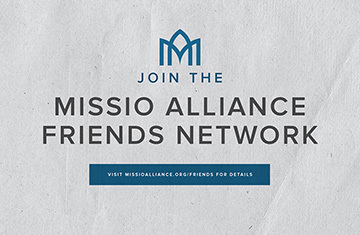 Theology on Mission Podcast #14: Why Gather For Worship?